Creative Brief : Van Engelenhoven Agency came to Agency Two Twelve with over 345 years of combined experience in the insurance industry. Their strong community presence and customer relationships provide a high-quality experience for everyone who walks through their door. We choose to emphasize that experience throughout the various advertisements we create for them. 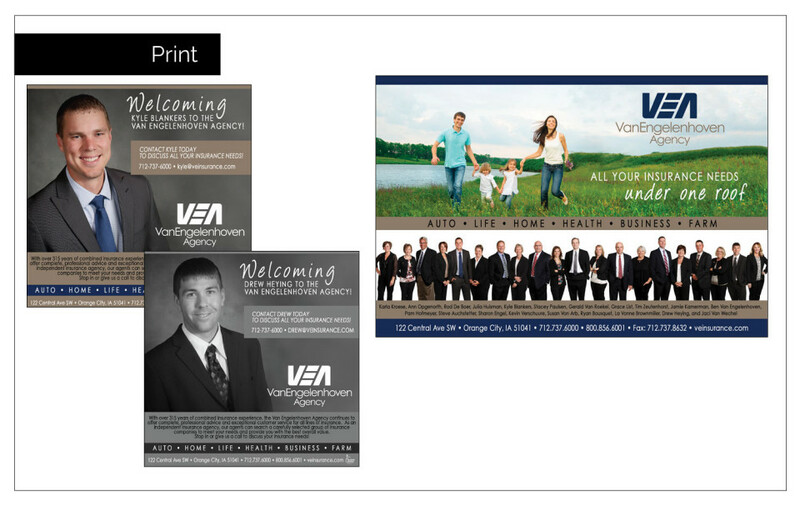 Van Engelenhoven Agency employees were also highlighted through a photo shoot to update their website directory. Through the marketing guidance of Agency Two Twelve, Van Engelenhoven Agency is poised to continue their success well into the future.